Toybank and GREAT foundation distribute toys to schools in Pune! On 23rd of October, Toybankers in Pune set out to distribute toys to around 240 children from 2 schools in Pune! Volunteers from GREAT Foundation and Toybank gathered at the Dr. Ambedkar School around 9:30 am. Toybank volunteers Preethi and Avni were introduced to the school Principal and teachers. Toybankers briefed the teachers and volunteers about Toybank and the way the distribution drives are carried out in schools. Then the volunteers proceeded to segregate the toys for the respective classes. Volunteers interacted with the children, distributed toys and biscuits to 107 children at Dr. Ambedkar school, and also gave about 15-20 toys to the school's Balwadi! While Preethi and Avni continued with the event at Dr. Ambedkar School, Jaslene and Utpala from GREAT foundation went to Mahadji Shinde School to distribute toys and biscuits to 130 more children at Mahadji Shinde School. The principal and teachers at the schools appreciated the efforts of Toybank and Great Foundation.Volunteers enjoyed interacting with the children and distributing the toys! 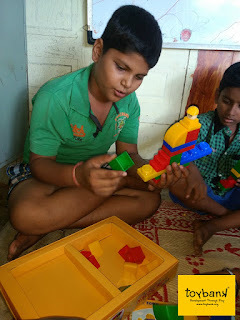 "It indeed was a wonderful day as seeing the children’s happy faces felt simply great! 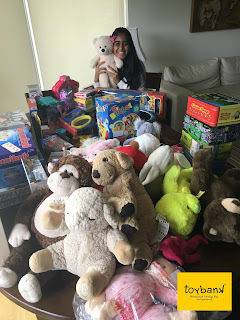 Thanks to Toybank, all the volunteers, Avni, Preethi and Jaslene. It was a memorable event." "I wish to extend a big thank you to all Toybank volunteers who helped make the event possible. Thanks once again and Wish you all a very happy Diwali." "It has been a pleasure associating with Great Foundation. We would like to thank Jaslene and Utpala for the support in the transport of toys and the arrangements for the distribution event. Toybank is happy to bring a smile to the children from Ambedkar School and Mahadji Shinde School." Catch all the smiles here ! Also find a blogpost from GREAT foundation on the event!